Did you know that last year I ran an arts experiment? I secured some funding from the Ideas Test, who are in turn funded by the Arts Council and the Lottery– to take flower arranging out of the vase and onto the streets. The project involved running a series of #winterdoor workshops aimed at those who wouldn’t typically describe themselves as being creative. 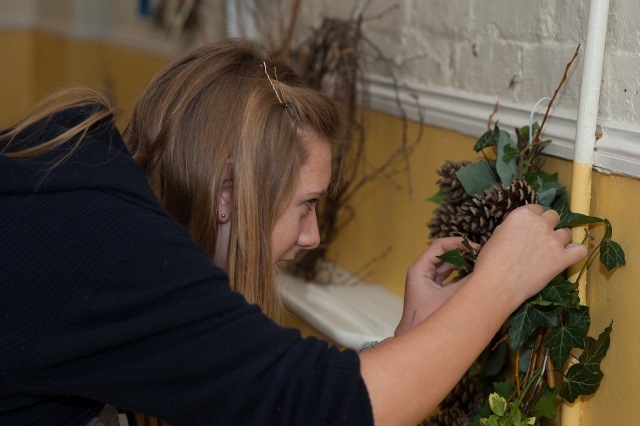 I had such lovely feedback about the winter door project, both at the time of the workshops and throughout the year. Lots of people who came to the organised sessions, or just enjoyed watching the virtual art gallery of creations unfold online, have been asking whether the project (workshops) will be running again this year. The short answer is no – however, I’d still love to hear about your creative door wreath making this year. Perhaps I could ask a favour? In part, this project was designed to filter out through networks of friends, families and neighbours, perhaps even becoming a new festive tradition to share with your community. If you feel inspired to pass on your creative skills and teach those around you how to make their own winter door wreath, I’d love to hear from you. 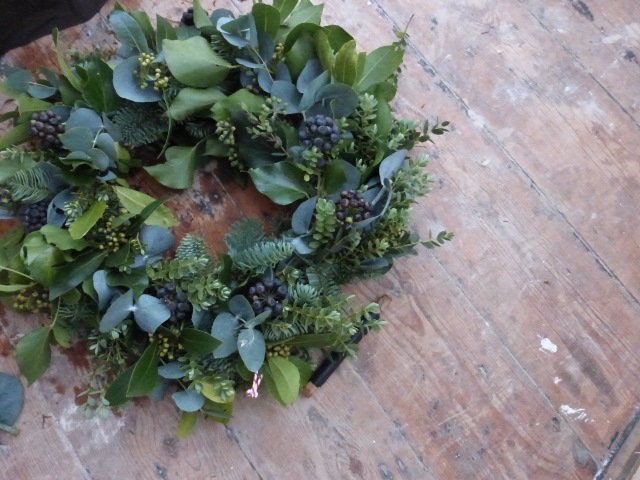 Could you take a photo of your creation and post it on Facebook, Twitter or Instagram – using the hashtag #winterdoor. I’d also like to refresh the virtual art gallery tour of your creations. To do this I’ll need you to email me a photograph of your winter door wreath and share your postcode with me. 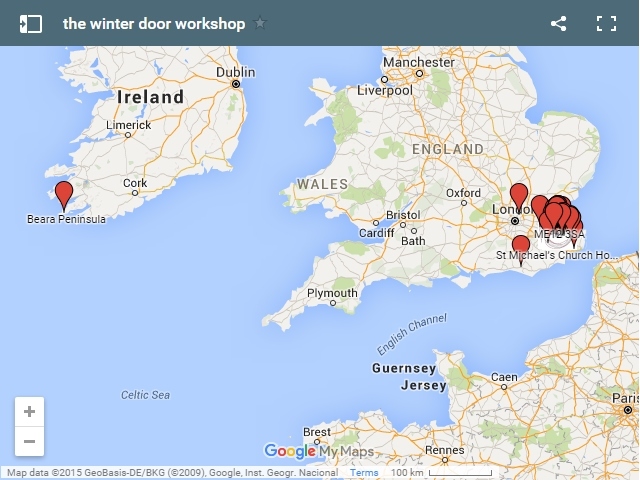 I’ll add your photograph to my map – it will be interesting to see how far we can get the #winterdoor project to spread this year! I’d love to hear how you’re planning to get creative this festive season – leave me a comment below, or why not come and join the #winterdoor project? 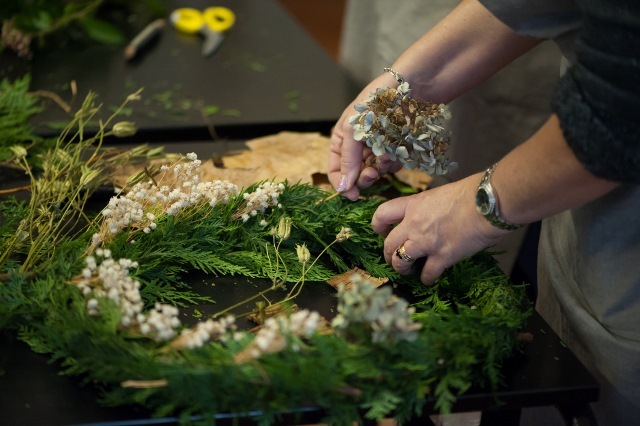 If you’d like to come to a more traditional door wreath class I’ll be teaching at Anna’s Country Flower in the first week in December – click here for details.